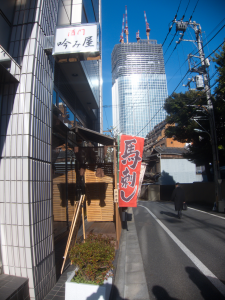 We woke up bright and early at noon to go visit a friend of one of my party members for lunch at Roppongi. They also apparently serve horse meat. 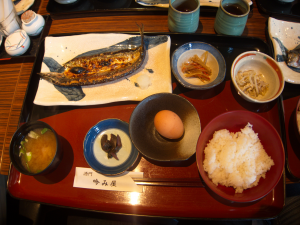 I got the sanma, it was delicious. Kinda bony, but I find fish meat better when it’s near the bone. 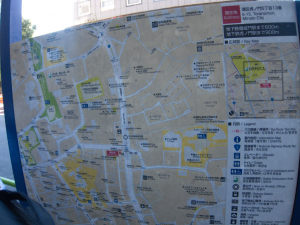 The guy also pointed us towards a nearby ice cream shop that was supposedly amazing. 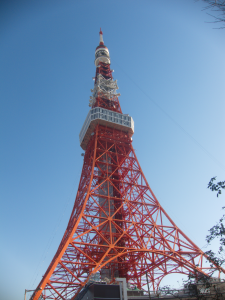 So, we headed there to try it out. I got a marron ice cream cone with chestnut frosting (?) 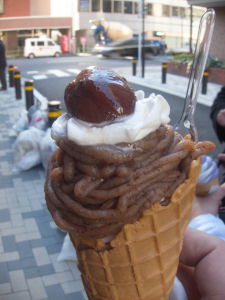 and a chestnut on top. It was delicious as hell, despite it being winter and really cold outside. Totally worth the shivers afterward. There was something about their ice cream that just tasted… better. 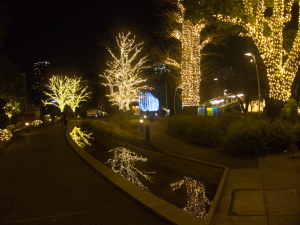 We decided to walk to Roppongi Hills to look around. 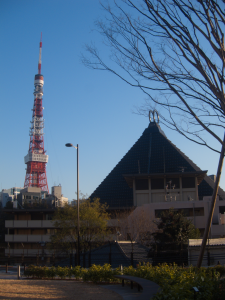 On the way there, we passed by Tokyo Tower. 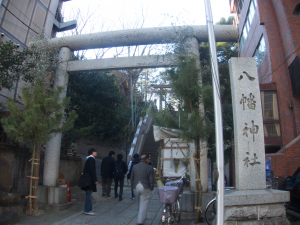 Moving on, we passed by 八幡神社 (Hachiman Shrine) and went up to take a look. I took the opportunity to donate some money and wish for nothing in particular (again). 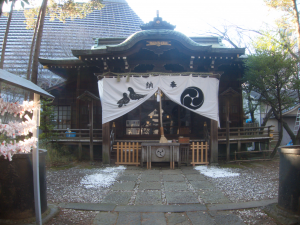 It turns out it was the Shakaden Reiyukai Buddhist Temple. It’s hard to tell from the picture, but the hall is ridiculously huge! 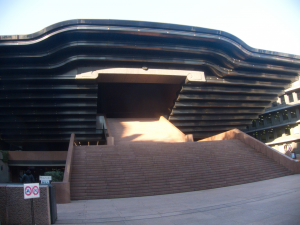 There’s even a hotel inside! 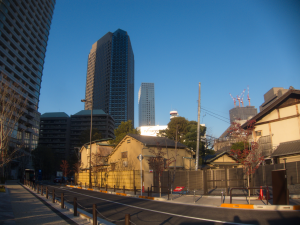 The whole area was ridiculously clean and expensive-looking, with apartments that were probably way out of my PhD student price range. We took the chance to visit another place that the friend of a friend had recommended earlier, a ramen place called 一風堂 (Ippudo). 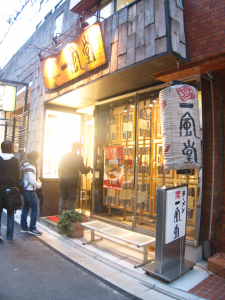 The place was apparently pretty famous or something (at least it seemed like it from their own menus, lol). 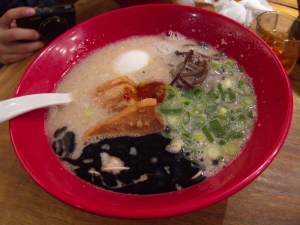 If nothing else, the “Akamaru” Ramen I got was seriously delicious. 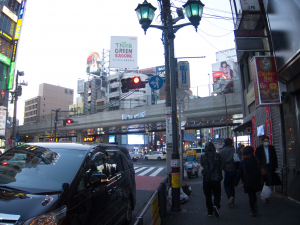 Since Denkigai was tomorrow, we stopped by Akihabara to buy the catalog to get ready for it. 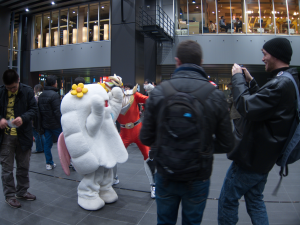 The white cloud mascot (or whatever it was) was seriously adorable. Whoever was inside had the cutest mannerisms. The sentai in the red was messing with the white guys in the picture too, doing fake attacks and the like while he was trying to take a picture. 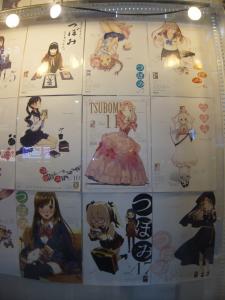 We walked around Akihabara for a bit to find a shop that sold the Denkigai catalog. 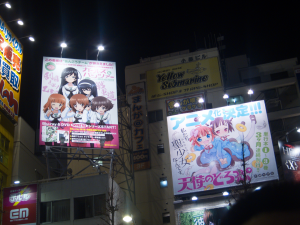 Apparently Girls Und Panzer is popular, along with some anime called 天使のどろっぷ (Tenshi no Droppu) that’s getting promoted (and I’ll totally watch). 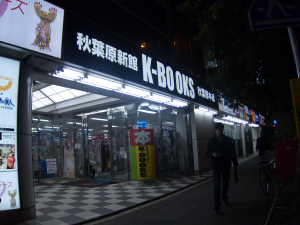 We headed to K-Books afterwards and I went straight in and bought a bunch of manga. Apparently I fucked up because K-Books was doing specials tomorrow and later days where if you spend a certain amount, you get bonus goods. Oops. That’s what I get for going in without listening to my party members. 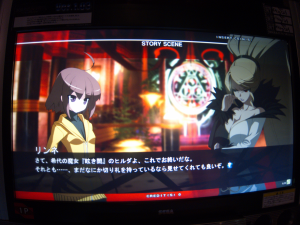 Afterwards we stopped by Club Sega and I got the chance to try out Under Night In Birth, the new game from the Melty Blood makers. 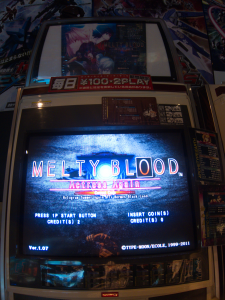 I also played some Melty Blood Actress Again Current Code. 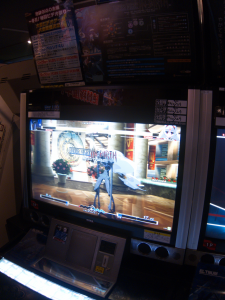 The machine at Club Sega was pretty awesome: 2 credits for 100yen, even in versus mode! 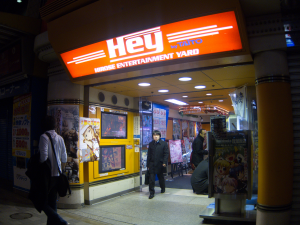 I went in and bought a NESiCA card. 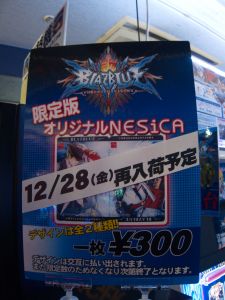 Apparently I fucked up again because when I looked around, they had limited Blazblue NESiCA cards at Hey! that were going to be restocked tomorrow. 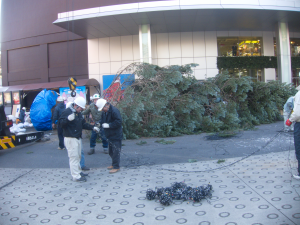 Oh well, 300yen down the drain. 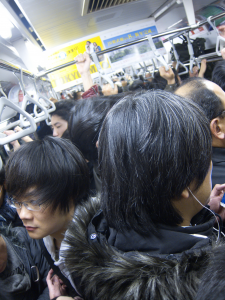 We must’ve hit rush hour or something because people were more or less compressed into the train. Luckily, we only needed to ride 1 stop, so this didn’t last too long for us. Tomorrow we’ll go check out Denkigai and all of it’s ero-goodness! Tagged with akihabara, arcade, japan, roppongi, travel.